2015-Present: Director General (Additional Charge), National Institute of Biotechnology, Ganakbari, Ashulia, Savar, Dhaka-1349, Bangladesh. 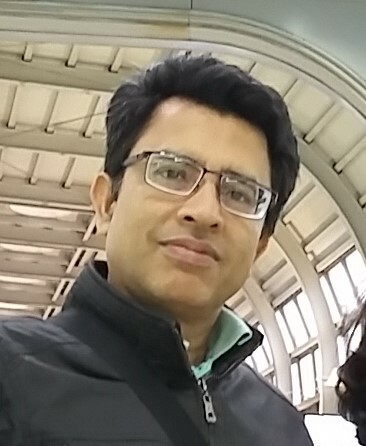 2015-Present: Liaison Officer, ICGEB Liaison Office (National Institute of Biotechnology, Bangladesh), Bangladesh. 2013-Present: Chief Scientific Officer, Molecular Biotechnology Division. National Institute of Biotechnology, Ganakbari, Ashulia, Savar, Dhaka-1349, Bangladesh. 2011-2013: Research Scientist, Functional Genomics Technology Team, Omics Science Center, RIKEN Yokohama Institute, Japan from April 2011 to March 2013. Research projects: 1) Identification of non-coding RNAs responsible for cell differentiation. 2) Characterization of isolated neurons transcriptomes responsible for neural plasticity. 3) Development of Single cell transcriptome analysis protocol with modified nanoCAGE. 4) HighthroughputnanoCAGE and 3’-Deep RACE protocol optimization. 2008-2011: Postdoctoral Researcher, Functional Genomics Technology Team, Omics Science Center, RIKEN Yokohama Institute, Japan. Research topics: Characterization of isolated neurons transcriptomes responsible for neural plasticity, Development of Single cell transcriptome analysis protocol with modified nanoCAGE methodand human iPS/ other cells, HighthroughputnanoCAGE and 3’-Deep RACE protocol optimization. 2007-2008: Postdoctoral Research Fellow, Functional “City Area Project” at Saitama University, Japan from July 2007 to November, 2008. Research topics: Development of in-vitro evolution technology- Multi Micro Vessel (MMV), Selection of Alzheimer’s beta peptide’s aptamers, Construction of DNA library, Fluorescence Microscopy, MALDI-TOF MS analysis of peptides, Gel mobility shift assay, Fluorescence assay of peptide aptamers etc. 2006-2007: Postdoctoral Research Fellow; “Saitama Bio Project” at SKIP City, Kawaguchi, Japan from April 2006 to June 2007. Research topics: Selection of Alzheimer’s beta peptide’s aptamers by in-vitro evolution: IVV (In-Vitro Virus) method. In-vitro Transcription and Translation, Reverse Transcription, Preparation of IVV, etc. 2002-2003: Collaborative Researcher (Part-time) at Saitama Cancer Center, Japan from OctobeGenr 2002 to October 2003. Research topics: Detection of SNP (Single nucleotide polymorphism) in c-Myc gene of Fisher and Long Evans rat by µ-TGGE-HD (Micro temperature gradient gel electrophoresis-heteroduplex) method, DNA Cloning, Transformation, Sequencing etc. 1998-2002: Research Officer, Department of Immunology, Research Division, Bangladesh Institute of Research and Rehabilitation in Diabetes, Endocrine and Metabolic Disorders (BIRDEM). Responsibilities: Routine analysis of different infectious and non-infectious disease markers, e.g. viral hepatitis, tuberculosis (PCR detection), AIDS, Dengue, tumor markers etc. using ELISA, EIA, Western blot, PCR method. 1996-1998: Research Fellow in the Department of Immunology, Research Division, BIRDEM. Responsibilities: Learning different immunological techniques and analyzing different infectious and non-infectious diseases markers. Culture and serological detection of Micobacterium tuberculosis. 1. Treating Diabetes Mellitus: Animal model experiment with natural and in-house designed compounds (2018~). Funding agency: Ministry of Science and Technology. 2. Exploration of economically important marine flora from the Bay-of-Bengal: A pilot study (2016-17). Funding agency: Indian Ocean Rim Association (IORA). 3. Social behavior through adaptation and evolution: Genetic perspectives (2017~). In collaboration with Kochi University of Technology, Japan. Funding agency: Kochi University of Technology, Japan. 4. Association of type 2 diabetes linked genetic variants to gestational diabetes mellitus. 5. Development of a high throughput solid phase DNA mutation screening system and its application to disease diagnoses. 1. Hossain MU, Hashem A, Keya CA, Salimullah M.. Therapeutics Insight with Inclusive Immunopharmacology Explication of Human Rotavirus A for the Treatment of Diarrhea. Front. Pharmacol.2016; 7:153. 4. Tang DT, Plessy C, Salimullah M, Suzuki AM, Calligaris R, Gustincich S, Carninci P.Suppression of artifacts and barcode bias in high-throughput transcriptome analyses utilizing template switching.Nucleic Acids Res. 2013;41(3):e44. doi: 10.1093/nar/gks1128. 5. Salimullah M, Mizuho S, Plessy C, Carninci P. NanoCAGE: a high-resolution technique to discover and interrogate cell transcriptomes. Cold Spring HarbProtoc. 2011; 2011:pdb.prot5559. doi: 10.1101/pdb.prot5559. 6. Kinoshita Y, Tayama T, Kitamura K, Salimullah M, Uchida H, Suzuki M, Husimi Y, Nishigaki K. Novel concept microarray enabling PCR and multistep reactions through pipette-free aperture-to-aperture parallel transfer. BMC Biotechnol. 2010; 10:71. 7. Plessy C, Bertin N, Takahashi H, Simone R, Salimullah M, Lassmann T, Vitezic M, Severin J, Olivarius S, Lazarevic D, Hornig N, Orlando V, Bell I, Gao H, Dumais J, Kapranov P, Wang H, Davis CA, Gingeras TR, Kawai J, Daub CO, Hayashizaki Y, Gustincich S, Carninci P. Linking promoters to functional transcripts in small samples with nanoCAGE and CAGEscan. Nat Methods. 2010; 7(7):528-34. 8. Salimullah M, Kato S, Murata M, Kawazu C, Plessy C, Carninci P. Tunable fractionation of nucleic acids. Biotechniques. 2009; 47(6):1041-3. 9. Kitamura K, Yoshida C, Kinoshita Y, Kadowaki T, Takahashi Y, Tayama T, Kawakubo T, Naimuddin M, Salimullah M, Nemoto N, Hanada K, Husimi Y, Yamamoto K, Nishigaki K. Development of systemic in vitro evolution and its application to generation of peptide-aptamer-based inhibitors of cathepsin E. J Mol Biol. 2009; 387(5):1186-98. 10. Kitamura K, Yoshida C, Salimullah M, Kinoshita Y, Suzuki M, Nemoto N, and Nishigaki K. Rapid In Vitro Synthesis of Pico-mole Quantities of Peptides. Chem. Lett. 2008; 37(12): 1250-1. 11. Futakami M, Salimullah M, Miura T, Tokita S, Nishigaki K. Novel mutation assay with high sensitivity based on direct measurement of genomic DNA alterations: comparable results to the Ames test. J Biochem. 2007; 141(5): 675-86. 12. Zaid RB, Nargis M, Neelotpol S, Sayeed MA, Banu A, Shurovi S, Hassan KN, Salimullah M, Ali L, Azad Khan AK. Importance of acetylator phenotype in the identity of Asian populations. Hum Biol. 2007; 79(3):363-8. 12. M, Mori M, Nishigaki K. High-throughput three-dimensional gel electrophoresis for versatile utilities: a stacked slice-gel system for separation and reactions (4SR). Genomics Proteomics Bioinformatics. 2006; 4(1):26-33. ErrM, Hamano K, Tachibana M, Inoue K and Nishigaki K. Efficient SNP analysis enabled by joint application of the μTGGE and heteroduplex methods. Cell MolBiolLett. 2005;10:237-45. 13. Hasanat MA, Rumi MA, Alam MN, Ahmed S, Hasan KN, Khan AY, Salimullah M, Mahtab H, Khan AK. Urinary iodine status and thyroid dysfunction: a Bangladesh perspective. Bangladesh Med Res Counc Bull. 2004 Apr;30(1):16-24. 14. Parvez MA, Hasan KN, Rumi MA, Ahmed S, Salimullah M, Tahera Y, Gomes DJ, Huq F, Hassan MS. PCR can help early diagnosis of pulmonary tuberculosis. Southeast Asian J Trop Med Public Health. 2003 Mar;34(1):147-53. 15. Aziz MM, Hasan KN, Hasanat MA, Siddiqui MA, Salimullah M, Chowdhury AK, Ahmed M, Alam MN, and Hassan MS. Predominance of the DEN-3 genotype during the recent dengue outbreak in Bangladesh. Southeast Asian J Trop Med Public Health 2002; 33: 42-48. 16. Hasanat MA, Rumi MAK, Alam MN, NadimHasan K, Salimullah M, Salam MA, Fariduddin M, HajeraMahtab, and Azad Khan AK. Status of Antithyroid antibodies in Bangladesh. Postgrad Med J 2000;76: 345-49. 17. Sayeed MA, Hassan MS, Hasan KN, Parvez MAK, Khan AYMH, Salimullah M, Khanam PA, Mahtab H and Khan AKA. Genetic Background of Diabetic and Nondiabetic Sibs in Young Bangladeshis. Bangladesh Med. Res. Counc. Bull., 2000; 26(3): 69-74. 18. Salimullah M, Tahera Y, Siddique MA, Salam MA, Rumi MAK, Huq F and Hassan MS. Prevalence of human immunodeficiency virus infection among tuberculosis cases in some clinics in Dhaka, Bangladesh. Royal Society of Tropical Medicine and Hygiene 2000; 94:276. 19. Salimullah M, Rahman MK. Dopamine-b-Hydroxylase Activity and its Co-factors in Central and Peripheral Tissues and Serum of Malnourished Rats and Humans. Bangladesh J. of Nutr. Vol. 11. Nos. 1&2, June 1998; 65-70. 21. Hasanat MA, Rumi MAK, Alam MN, Salimullah M, Hasan KN, Khaleque MA, Salam MA, Mahtab H, and Azad Khan AK. Antithyroid antibodies, urinary iodine and thyroid hormones in clinically suspected endemic goitre. Diabetes and Endocrine Journal (Bangladesh), 1998; 26(1): 3-10.